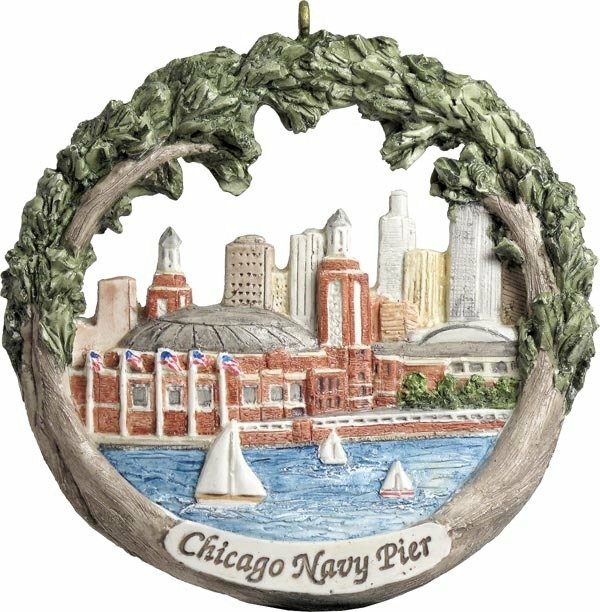 Navy Pier is a 3,300-foot-long (1,010 m) pier on the Chicago shoreline of Lake Michigan. The Navy Pier currently encompasses more than fifty acres of parks, gardens, shops, restaurants, family attractions and exhibition facilities and is the top leisure destination in the Midwest, drawing nearly nine million visitors annually. It is one of the most visited attractions in the entire Midwestern United States and is Chicago's number one tourist attraction.